A new look executive committee was voted in place with former Goldie College student Jimmy Kereseka taking the presidency. The incumbent president, Atkin Vilaka, was voted out after being in power for the last 5 years. 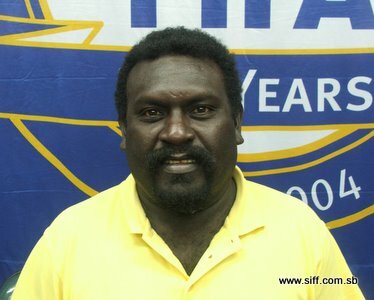 Vilaka consequently, loses his position in the Solomon Islands Football Federation (SIFF) executive committee following the results of the LFA elections. Also voted into the LFA executive is former Solomon Islands national player Ben Sokeni who took the post of vice president. John Wesley Zinga returns as the general secretary and the post of treasurer went to Berry Poqe. The new executive committee includes representatives for the 3 major regions in Choiseul. South Choiseul is represented by Eddison Qoloni, John Vona and Thomas Toqe. North-West Choiseul has the trio of Paul Telovae, Wyclif Tuhaika, and Mason Tome in the LFA executive and the North-Eastern region are offered a voice through Cornelius Pitakaka, Eddison Pitavato and Manger Tikei. The new LFA executive committee held its first meeting immediately after the elections and resolved for a renewed push for the development of football starting with increased participation in national competitions organised by SIFF in 2011. This will be coupled tightly with increasing the capacity of technical people within the province to deliver local training for coaches for 11-a-side, futsal and beach soccer. A statement from LFA says that their secretariat will have to start from scratch to build up a database of technical people and players for the province so that development ambitions are not misplaced. This is expected to assist the executive committee to make decisions that best fit the different regions of the province. The statement also mentioned more emphasis on local competitions inside the province as a means of stimulating development within the regions and wards. This will be achieved in collaboration with SIFF, the provincial government and various non-governmental organisations. “From the information gathered we will plan and prioritize in sending or organisation’s people to attend the available trainings at SIFF or in our province. This is so that it will help people from different areas in Choiseul organize their leagues and training at ward levels,” the statement says. The statement also promises an equal participation drive and programs for women and kids are also in the pipelines for the province. A detailed action plan is being prepared by LFA outlining its vision for the coming 4 years. LFA is the provincial football association representing Choiseul Province in SIFF, considered to one of the remote provinces of Solomon Islands in terms of accessibility. Football development in the province is met with a huge challenge due to the geography of the island which takes about a week to travel around by boat.